On this competition series, couples give their all to try to win their dream home. 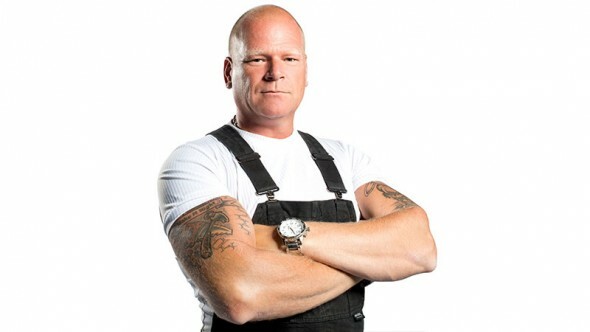 Professional contractor Mike Holmes is the host. Nine deserving couples are challenged to revive one run-down home every week. During each episode, the host presents the couples with tasks designed to test and challenge the skills of these do-it-yourself enthusiasts. Holmes is with the competitors every step of the way> He critiques their work and demands they meet his high standards — while also sharing his expertise and guidance to help them reach new heights. In a surprise twist, when the work is done for the day, the couples don’t have far to travel to get home because, not only must they work together to restore the home, they must all live together in the same dilapidated home 24/7. The more they accomplish, the better they sleep at night. Each week, the couples with the best work will move forward in the competition, while the couple who didn’t perform up to code will face elimination. Eliminations continue each week, until only two couples remain, who will fight to the finish to win their ultimate dream home. What do you think? Do you like the Home Free TV show? Do you think it should be cancelled or renewed for another season? I would love to see home free again. Loved how people were able to pay it forward to deserving families. I would love to be able to pay it forward to a very deserving family in need.